Maureen specialises in getting the right foundation for a happy and trouble-free relationship between dog and owner. 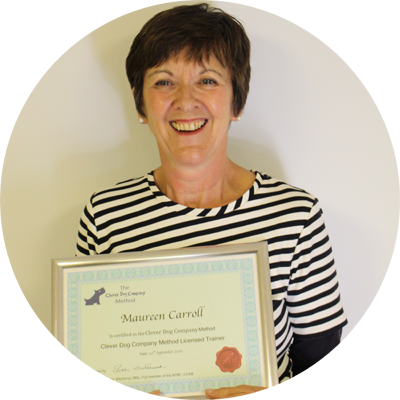 Maureen offers kind, positive, reward-based one-to-one training to make sure that you get off to a flying start. Maureen is based in Godalming, Surrey and has had dogs, cats and horses for the last 35 years. Maureen also volunteers at a well-known dog and cat rescue and works with dogs (and cats!) who need a little bit of help to find their forever home, so she is particularly interested in helping rescue dogs cope with the changes required to settle into family life.